Música en vivo todos los días de 8:00pm-11:00pm. La Palapa esta disponible para pequeños o grandes grupos que estén celebrando un evento especial, bodas y cenas de ensayo, o fiestas empresariales. Tenemos unos menús especiales con excelentes precios, o diseñe usted su propio menú con la ayuda de nuestro equipo de relaciones publicas. Ellos trabajan con nuestro Chef para crear un inolvidable desayuno, comida o cena, tomando en cuenta las necesidades y deseos de su grupo. 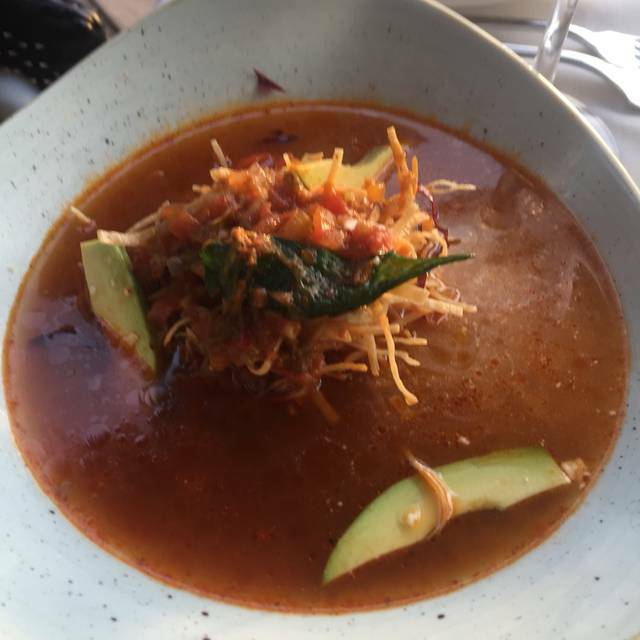 La Palapa combina cocina gourmet, servicio cálido y el destino espectacular a la orilla del mar en la bella ciudad de Puerto Vallarta, Mexico. Beautiful on the beach dinner restaurant. Great staff and views of the sunset. Excellent service, great food. It was my boyfriends birthday and it was so romantic sitting on the beach watching the sunset. Food was great and service was speedy. Got the shrimp crepes for breakfast and they not only had a great presentation, but tasted amazing as well. Loved it!!! Great ambiance, food was very good. However because of the rushed and impersonal service, I would not recommend this place. This is an ongoing issue with La Palapa, every time I’ve been there I have been rushed by the wait staff, they barely even make eye contact. You can get better table service elsewhere in Puerto Vallarta. Excelente velada, vale la pena ver el atardecer a un lado de la playa. On the beach table was terrific! We reserved online for my birthday. This was amazing in every way from the service to the food. They treated us so well and catered to every request. The sunset and torches added to the setting . We would highly recommend! Thank you so much for memorable birthday dinner! La Palapa was AMAZING! 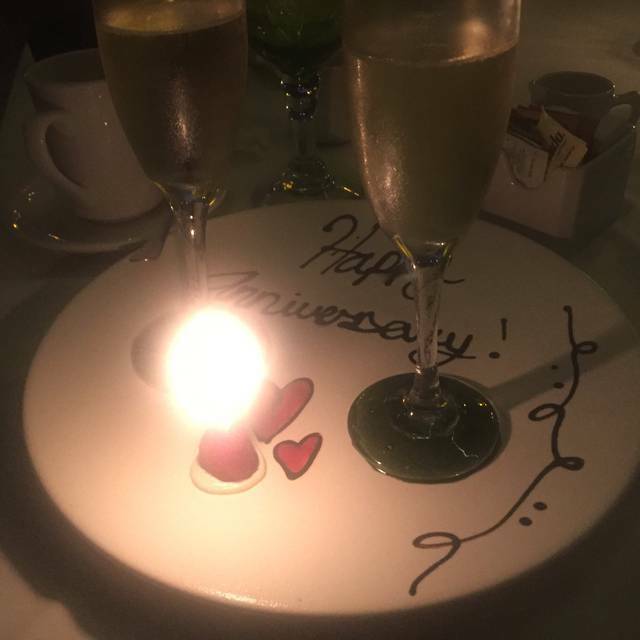 All of the food and drinks were delicious, the service was impeccable, the restaurant and ambiance is stunning, and we had the best time there. Highly recommended. 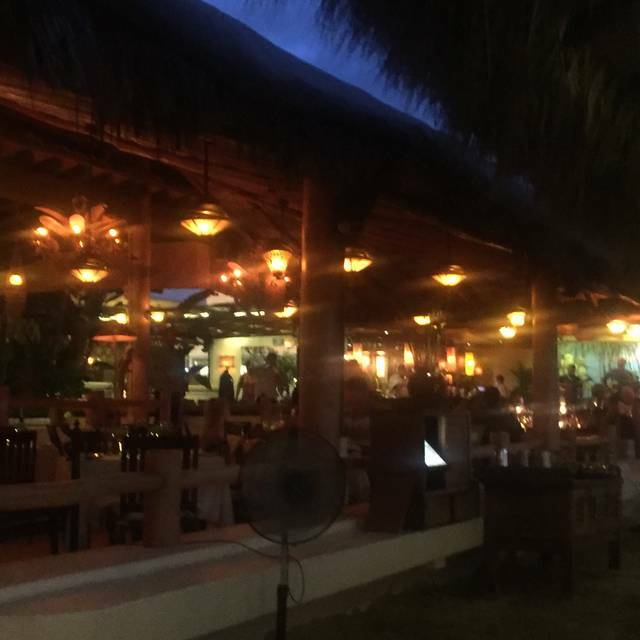 La Palapa is 100% the best restaurant in Puerto Vallarta! 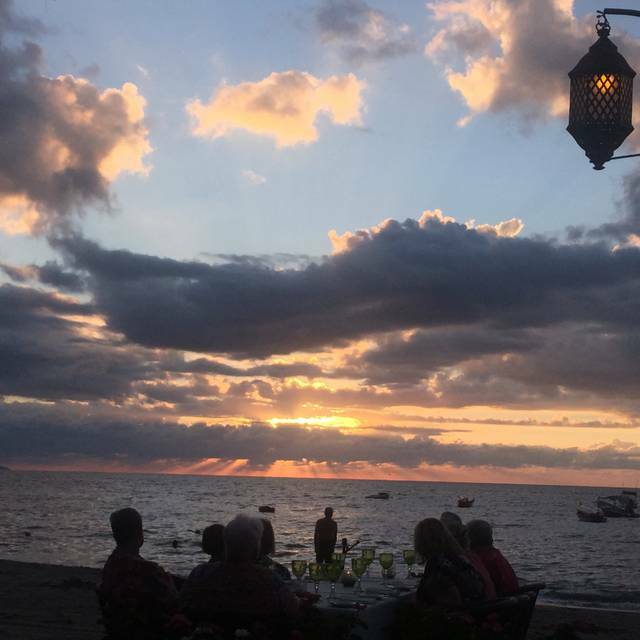 The tables are right on the beach in the most beautiful setting, the food is UNBELIEVABLY delicious, and the servers are gracious and responsive! We had a table of 12 and it was the best time for our whole group to possibly have! YOU. MUST. GO. THERE! We were looking forward to a delicious sunset dinner on the beach. We have eaten here multiple times over the last 10-15 years, but will probably not be returning. The view was perfect, but the meal left a lot to be desired. The appetizer and salads were tasty, but the entrees were not good at all. Two of us ordered the lobster and both said it was the toughest lobster they had ever eaten. The other two of us got the seafood risotto -a “house specialty”. It had the consistency of thick oatmeal and about as much flavor. There was no hint of the lemongrass or other flavors, The seafood was over cooked. As for the drinks, the starting cocktails were nice, but when we went to switch to wine, the prices were ridiculous. We don’t mind paying for a nice bottle, but there were only 1 or 2 bottles under $100 and they were not wines worth that price. We would have loved to sit and listen to the live music longer, but did not want to pay for more mediocre wine. Unfortunately, I think La Palapa has become way too touristy and are banking on their amazing beachfront location. Best restaurant in PV. If you haven't been there, go! By far the best location I’ve ever eaten. Service was good but somewhat slow (which was ok for us). Food was very good. We’ve been going to La Palapa for the last 3 years for both everyday dining and special occasions. Tonight was our grandson’s 7th birthday and as we’ve done in the past celebrated here. However, compared to the previous times, the service was terrible, the food mediocre and the prices exorbitant. 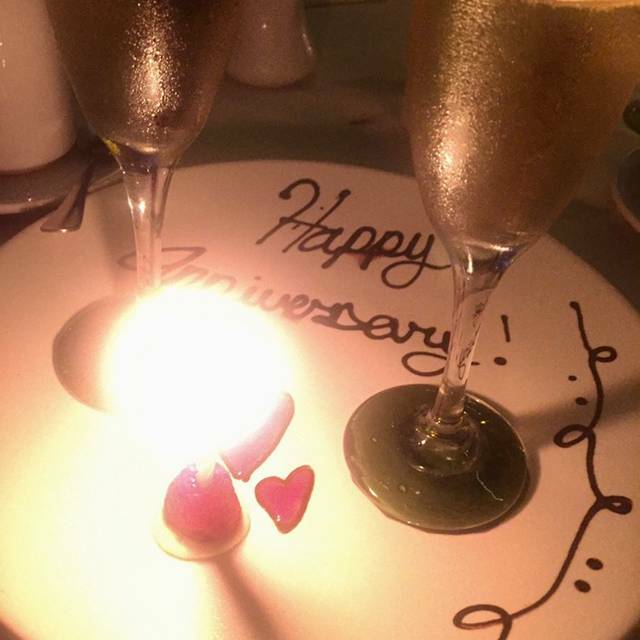 I have no idea what’s happened in the past year, but it’s not the same restaurant we came to know and love. They had a special of steak and lobster for 2 people and even though at approximately $2400 pesos, which was expensive, two of us shared that meal. There was ample steak on the plate which was quite good, but the lobster was cold and tasteless. Even the garlic butter lacked any real flavour! Carrots and zucchini were the accompaniments and we’re also cold and likely sat on the counter awhile before being served. It came with a black rice and a risotto which they served on separate plates to each of us. Also cold! The chicken supreme which was shared by my partner and his grandson was good, but similarly cold. We arrived promptly at 7:00 and finally received our meals after 9:00. I also asked for a shawl as one guest was cold and although they had some, it never arrived. We order a bottle of Casa Madero Cabernet Sauvignon which sells for approximately $250 pesos at Vinos Americas was $995 pesos. I understand a markup on wine, but almost 400% is ridiculous. We’d been here for breakfast a few times in the last few months and noticed service was lacking but chalked it up to a low breakfast crowd. Well, it appears that wasn’t just the case at breakfast, but dinner as well. The restaurant relies on their location to charge high prices with mediocre food and terrible service and I would suggest you consider other better options before spending your money here. Very, very disappointing! 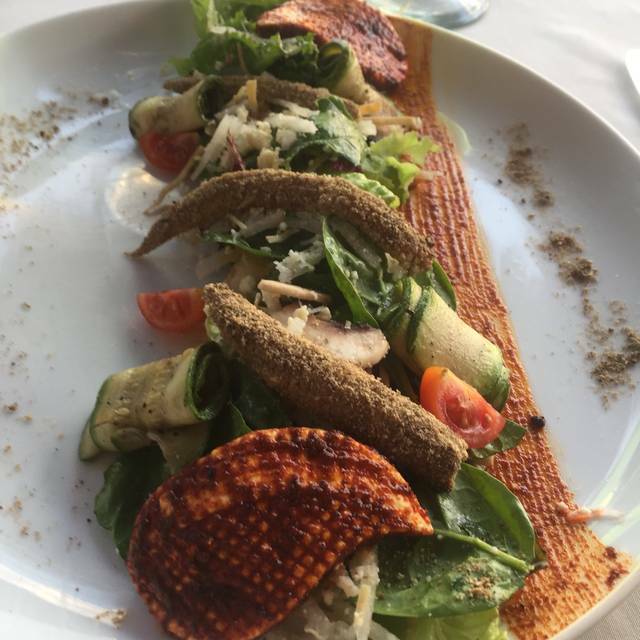 Excellent food, service and great atmosphere. 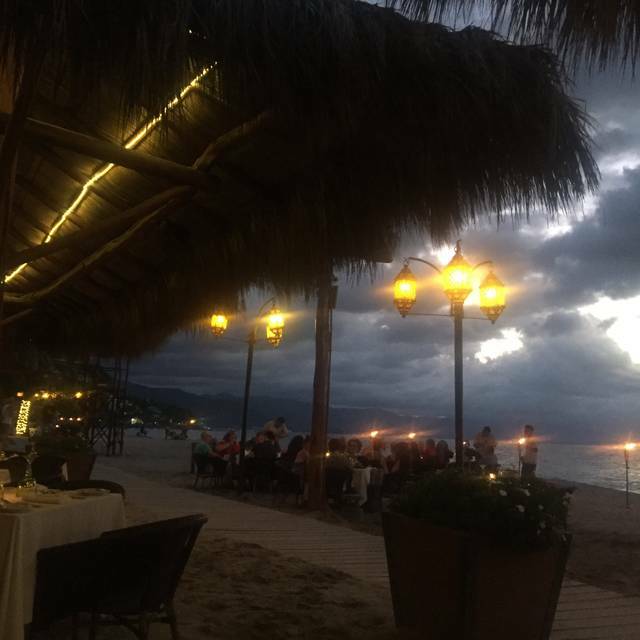 A bit pricey for Puerto Vallarta but for a bit more upscale restaurant experience, worth it. Went here to celebrate a birthday with a group of friends. 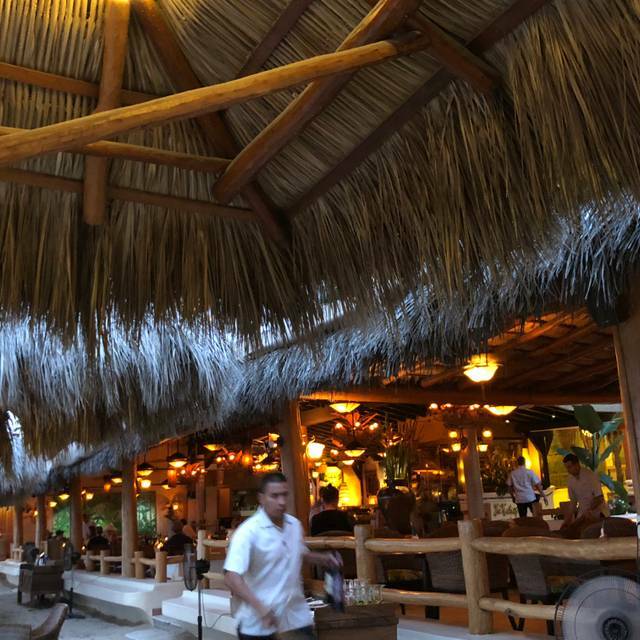 We have previously celebrated milestones at La Palapa before. Never again. The ambiance is still wonderful. But the service was lacking. We didn’t get drinks for 45 minutes. Appetizers didn’t come for 90 minutes. And when the entrees did finally arrive, my shrimp could have easily been mistaken for shrimp cocktail because they were so cold. At that point, I just ate it because I wanted to go. It pains me to write this because this meal was to be the crowning event on a great meal. Instead it was lackluster at best and quite disappointing from a service standpoint. The portions are small for the price in Puerto Vallarta. The risotto was over cooked. Great service. Good food they accommodated to a later time. Beautiful sunset view. Price was affordable for being fancy. Really enjoyed the red snapper for dinner. It was fresh, seasoned well and cooked perfectly. Sitting at a table 10 metres from the shoreline beside the waves at sunset was amazing. We were charged quite a bit for a small bottle of plain water (thought this should have come at no cost). Other than that, it was a very enjoyable experience. La Palapa is a great restaurant. 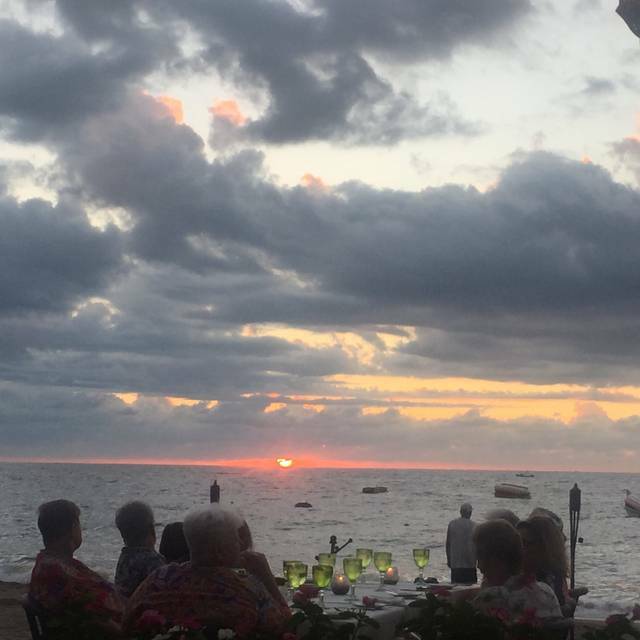 There are few better places in the world for a remarkable sunset dinner. Service and food were exceptional. I have been to the La Palapa restaurant on 4 seperate occasions. Three of those were lunch and they did a fantastic job. The last time was dinner. Sitting at a table by the ocean, so the scenery was unforgettable. We ordered our meal and the waiter did not put my wives order in. They were very quick to get it out to her. My friend and my wife ordered red snapper and they both stated it was just ok. Not as good as it had been on previous occasions at lunch. I ordered seafood risotto. The seafood in the risotto was not good. The scallops were under cooked and mushy as was the octopus. I ate less than a third of it. I pushed my plate away and when the waiter came to pick it up I explained it was not very good. He said if I had stated earlier he would have got me a new one. He also stated that if I wanted to he would get me a new one now and I would be eating it alone as everyone was finished. I told him no thanks. We asked for separate checks when we first ordered for my friend and my wife and myself. The waiter said no problem. We got one check. They did provide a small cheese cake with an inscription on the plate "thanks for the visit". I was very disappointed in the evening there. They have high prices, which I do not mind if it is backed up by good food and good service as it was at the previous times for lunch. I would have expected them to at least remove the risotto from the bill which I admit I did not ask for. But when you are at a good restaurant you would assume they would. Very unfortunate. Giovanni was top notch and made our whole experience incredible. We Highly recommend him! We snagged a table right on the beach - the surf, the mountain and city lights... wonderful! Reliably good food and service. Very disapointing , it is expensive compared to other restaurants of its category, but It was a special occasion so we were ok with the prices. Our waiter was abrupt and disinterested, the food was lukewarm and terrible. The setting was beautiful, but overall we felt it was a ripoff and would never return. There are many restaurants in the same area that are much better. We loved the restaurant! The food in PV in general is less seasoned than we expected. The coconut shrimp was definitely worth it, and the wine selection was wonderful! Best restaurant in Puerto Vallerta for sure ! We had tuna tatiki as an appetizer and the seafood risotto for dinner. Plus the flaming Mexican coffee which was incredible!!! We sat out on the beach for dinner and the ambiance was fantastic! Wonderfully prepared and presented menu, cocktails and even house selection of wine very good. The waitstaff was very busy, so not a lot of attention, given the prices, but overall, very nice experience. The tuna appetizer, grilled snapper, tenderloin medallions, huge shrimp, were all delicious. Food tasted really good and it was fun eating right on the sand.